Camp Barney offers 2-week sessions and 4-week sessions. The four-week sessions are available for campers completing 2nd through 10th grade. The two-week sessions are available for campers completing 2nd through 6th grade. Campers are divided into age groups, or Units, based on the grade they have most recently completed. The Kochavim program is designed to give campers a taste of Camp Barney, packing all of the excitement and adventure of Camp into two fun weeks. Campers participate in dozens of age appropriate activities and unique programs, including spending a meaningful Shabbat at Camp. We hand-select staff to work with this group to ensure these campers become comfortable in the summer camp environment and have the time of their lives! The Pre-Teen program is designed for older campers who have never been to overnight camp or who want to experience camp in a more compact timeframe. Campers participate in all of the adventures at Camp Barney including water skiing, the “Hurricane” water slides, horseback riding, zip lines and ropes courses, field and court sports, music, theater, film studio/media, dance, crafts, Camper Kitchen and much more. Campers are offered an incredible variety of experiences that evolve with each year they return to Camp Barney. 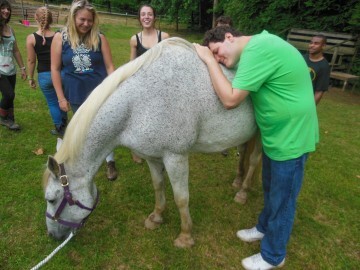 New trips, guest artists, musicians, athletes, chefs, and unit programs keep summer exciting, while affording every camper the opportunity to experience all of the Camp activities they love. 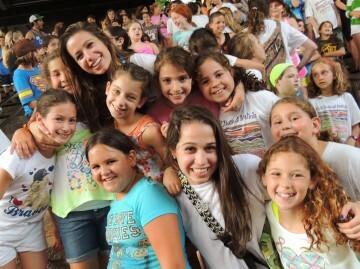 Campers spend three Shabbats at Camp and lead an interactive and musical Shabbat service. Our unique culturally Jewish environment is experiential, age-appropriate, and filled with fun. Campers in our JIT (Junior-in-Training) unit experience the ultimate in outdoor adventure. From the moment they arrive at Camp, their program looks and feels different from anything they have previously experienced at CBM. JIT campers live in canvas platform tents in their own village and participate in an incredible number of programs and high adventure activities supervised by experienced and talented staff. JITs take a six-day outdoor excursion through the scenic Blue Ridge Mountains, sleep in a cave, hike, climb, and go whitewater rafting, among many other amazing activities. While at Camp, JITs participate in a solo camping experience and enjoy all of the popular Camp Barney activities! Campers in our SIT (Staff-in-Training) unit participate in a Leadership Development program that provides them with additional responsibilities and privileges. The SITs select several areas of Camp to specialize in throughout their session such as assisting cabin groups or specialty areas including swimming, tennis, mountain biking, horseback riding, naturecrafts, theater, arts and crafts, and the Camper Kitchen. Special projects, a kayak or ski trip, and all of the fun of Camp Barney is packed into this incredible leadership experience. Our Chalutzim program is offered for campers 10-20 years old with special needs and has been nationally recognized since it was established in 1992. 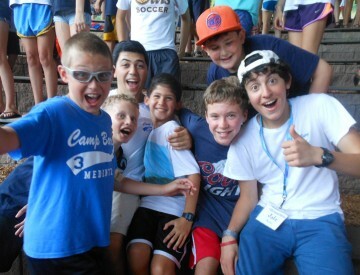 This program is highly individualized and an extraordinary experience for each camper. Campers can attend a four week program from June 2nd – 27th or a two week program from June 2nd – 13th and are supervised by experienced, specially trained staff who understand the Camp setting and also infuse large doses of conscientious mentoring, warmth, humor, and hugs. This program offers all of the exciting CBM activities and opportunities while facilitating individual and group skill development. Campers in our Chalutzim program come to us with a wide range of abilities, and we work closely with each child on meeting individual goals for their time at Camp. An exciting combination of the MJCCA’s overnight and day camp programs, CBM Experience gives younger campers the perfect taste of Camp Barney in just a few days. Campers begin their week at MJCCA Day Camps located in Dunwoody, Georgia (less than two hours away from Camp Barney) to get to know their cabinmates for the week. On Tuesday morning, they leave for an amazing three-night adventure at Camp Barney. Campers are immersed in the CBM community, participating in tons of cool activities, sleeping in bunks, going on a cookout in the woods, and even getting canteen and mail! Learn more at mjccadaycamps.org. © Camp Barney Medintz. All rights reserved. Website by 829 Studios.